Simon Woods is a member of the Rare Disease Patient and Ethics Council (RD-PEC). Simon Woods is Senior Lecturer and Co-Director of the Policy Ethics and Life sciences Research Institute (PEALS) at Newcastle University (an interdisciplinary bioethics research centre). Simon has a longstanding interest in the ethics of research; he is vice-chair of an research ethics committee at the British National Health Service (NHS) and is a member of the National Research Ethics Service National Ethics Advisors’ Panel. 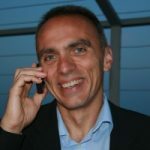 In addition Simon has been active as an Ethical, Legal and Social Implications (ELSI) work-package leader, or ethics advisor to several EU projects with a focus on rare disease genomics (DGEMap, TREAT-NMD, BIO-NMD, NMD-Chip, RD-Connect). Simon holds doctoral degree in philosophy and over the past 10 years he has pursued a career of teaching and research within bioethics. Simon has considerable expertise in the ethics and regulation of bioscience research.